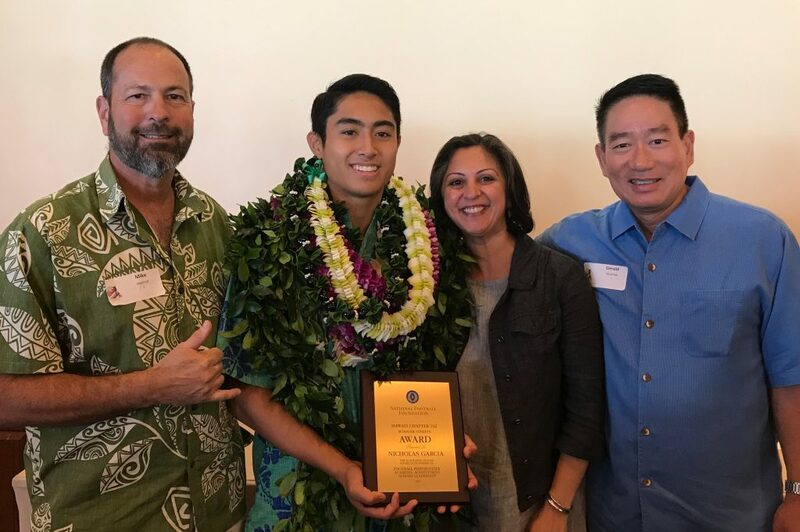 ISLAND PACIFIC ACADEMY senior Nick Garcia (’17) was one of 12 high school football players statewide to be honored with the Scholar-Athlete Award from the National Football Foundation Hawaiʻi Chapter. The NFF Scholar-Athlete Program recognizes high school seniors who show outstanding academic achievement, excellent athletic abilities in football, and strong community leadership. Garcia played Pac-Five football as a defensive back for IPA on the Intermediate team as a freshman, then on the Varsity team in his sophomore, junior, and senior years. 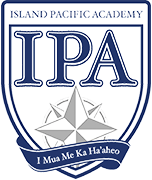 He is one of only two football players from IPA to receive this prestigious and competitive high school academic honor. Garcia was presented with the Scholar-Athlete Award at a special banquet on April 30, 2017 at the Royal Hawaiian Hotel in Waikīkī. Celebrating his accomplishment with him were his family, including his parents, Mike and Darci (IPA Grade 3 teacher), his grandparents, and his brother, Luke. Also in attendance were Mr. Gerald Teramae (Head of School), Ms. Kip Cummings (Secondary Principal), and Mr. Mike Axelrod (Director of Athletics). Congratulations, Nick! Nick Garcia (ʻ17) receives the Scholar-Athlete Award from the National Football Foundation Hawaiʻi Chapter. Nick Garcia (ʻ17) with Mike Axelrod, Kip Cummings, and Gerald Teramae after the NFF Scholar-Athlete Awards Banquet. Nick Garcia (ʻ17) with Secondary Principal Kip Cummings.